A bag of what looked to be round rocks. I gave my son a hammer and told him to hammer away. 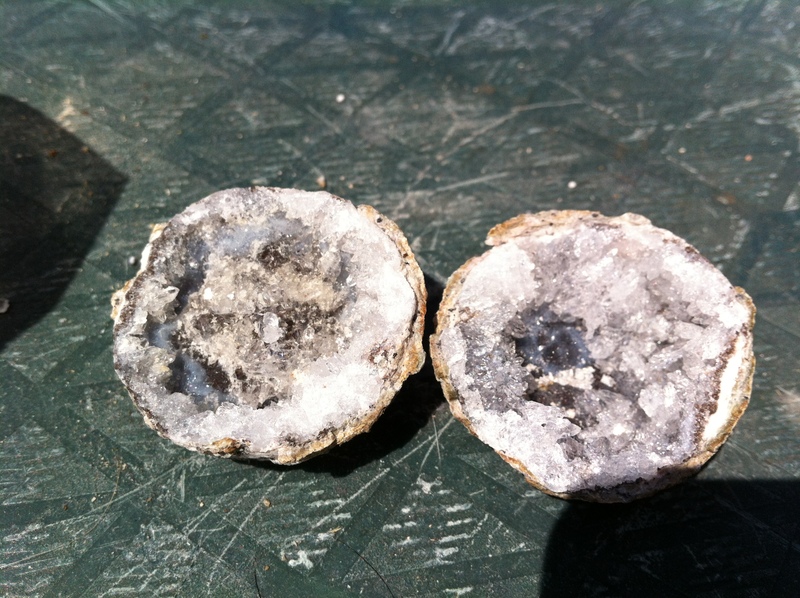 Oh what fun he and I both had to see what was inside each of the geodes! Some had better crystals than others but all were really great. You can google what a geode is and get a very scientific answer, but essentially it is an air bubble in a rock- formed when lava was flowing, or an old animal burrow, or where a root from a tree rotten away. Over thousands of years rain water seeps down through the ground and through the bubble leaving behind different traces of minerals etc which form into crystals. The different minerals create different colors and crystals. ← We’re Having A Heat Wave!